I am writing this on behalf of my sister Kokila. 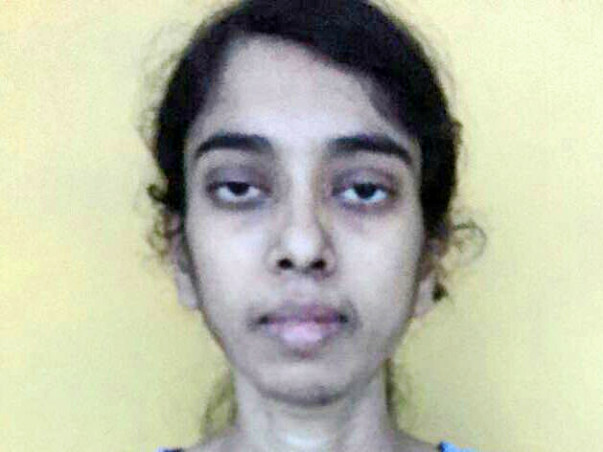 She is 26 years old well educated and born and brought up in a middle-class family in Hosur, Tamil Nadu. 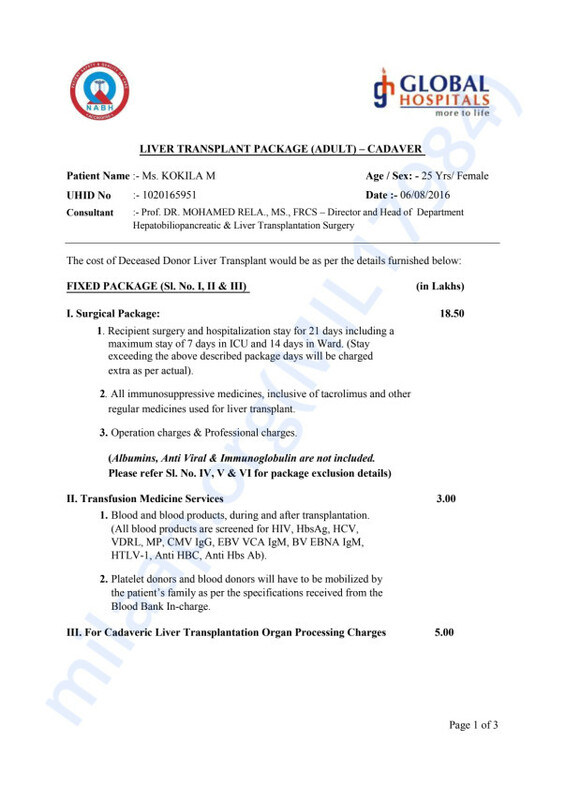 She is affected by liver failure and doctors told her to undergo liver transplantation. The given approximate estimation for the same is 40 lacs. She has spent all her money/jewels/assets to the initial treatment and check ups. She approached Tamil Nadu health insurance, probably they are going to help her by 25L.Remaining 15L she is searching help from organizations like you. Hope I have given all the information about her, estimated cost report has been attached. Kokila's health is slowly improving and her fever has also reduced. Due to the high fever, her platelet count had reduced and the doctors suggested to transfuse platelets. Platelets were given to her 2 days back and she is feeling much better now. The family is still looking for a suitable donor for Kokila. They are registered with a directory as well. We will keep you posted. Thank you for the support. Would request you to please share this campaign further with your friends and family. Please do keep her in your prayers. It's been about two weeks I posted about my sister health issue and I am really thankful to each and everyone who has helped us in this toughest situation. Kokila is in the hospital now, she is having continuous fever and treatment is going on. We are waiting for a donor to do the operation. I thank you all for the support and blessings. I wish all your prayers will save my sister and hope she will be back happily. Please share this campaign further with your friends and family.